It's official. 2016 has been the year of the bomber jacket and I'm not complaining. Before Christmas last year, I didn't own one bomber jacket and I now own no fewer than six and I'm not complaining. They've been one of my favourite wardrobe staples so far this year and I think it's easy to see why. They're effortlessly cool, easy to throw on over any outfit at all whether it's casual or smart and there are so many different styles, from the poofiest bombers to the most relaxed, from the most extravagant to the most simple and from the most expensive to the cheapest, there is a bomber out there for everyone and my favourite so far has got to be this offering from Zara. As soon as I saw this hanging on the rail I knew it had to be mine. The slouchy fit, the silky material, the embroidered detail...it's everything I could ever want in a bomber jacket and it feels so luxurious too. 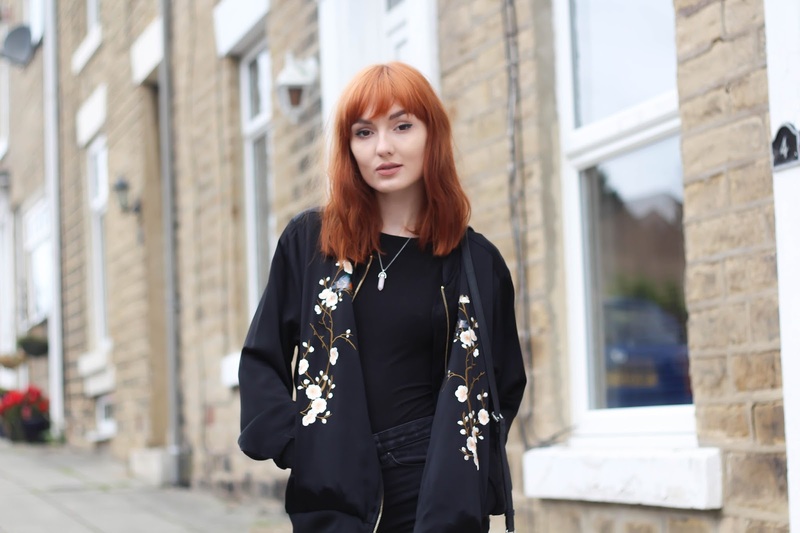 It saved my life this weekend at Y Not Festival because it just gives a super cool edge to any outfit you throw it on over whether it's a floaty dress or some jeans and I think that's the same for all bombers. Plus, with the oh-so predictable English weather, they're so handy to just have hanging over your shoulders to stop the chill getting through your summer outfit! Also, I know that I'm constantly updating my wardrobe and seem to have an addiction to adding new clothes but does anyone else have those few pieces that they just wear over and over again no matter how old they are or how ragged? I've had these black jeans for so long now and I honestly don't know what I would do without them, even though they're getting a little bit worn. 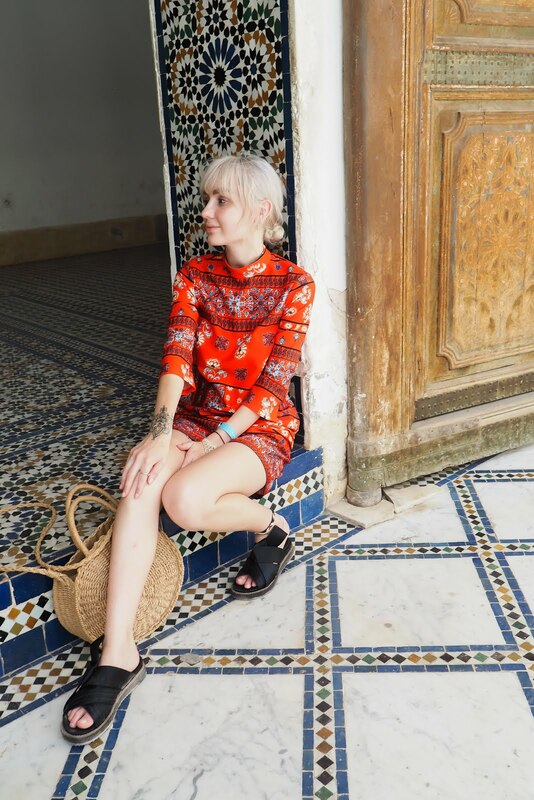 Sometimes we focus so much on the new things we buy we forget to show some love to the clothes that get us through all trends, all seasons and all weathers. 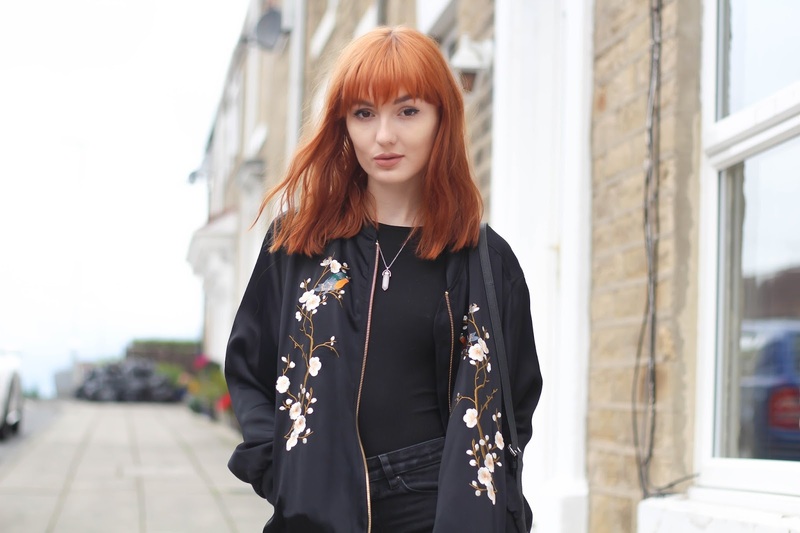 I've put together some of my favourite floral bombers from the 'net if you're looking for a different style or one that's a bit more affordable - just pause your ad blocker to see them above! 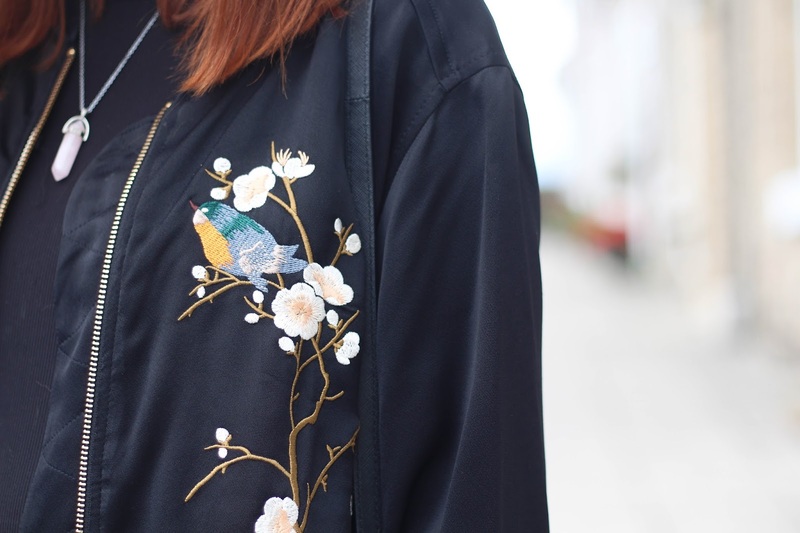 This has to be one of my favourite floral bombers that I've seen! I cannot tell you how obsessed I am with bomber jackets! Love this outfit, especially your cute pink mules! Yes, couldn't agree more, and this bomber suits you perfectly! I LOVE YOUR BOMBER JACKET! But omg, THOSE PINK SHOES. AHHHHH. Screams internally and faints. They are such a beauty! I love how the mules match the floral detail on the bomber! So cute, I'm loving the souvenir jacket trend rn too.